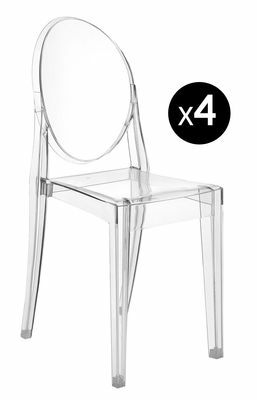 Set of 4 Victoria Ghost Stackable chairs. 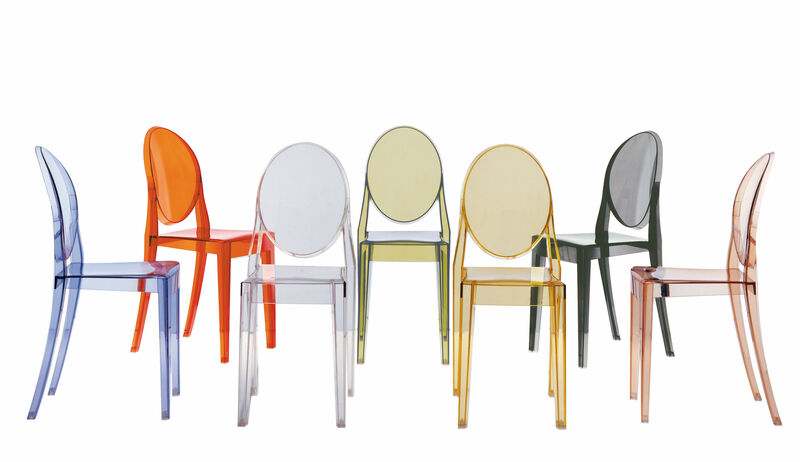 Victoria Ghost is born out of the classical collection of Louis Ghost armchairs. Its round back reminds us of the antique medallion; this chair has a charisma and a strong personality! It will look elegant in modern as well as more classical settings. Made of transparent polycarbonate. Victoria Ghost is comfortable, refined and practical! 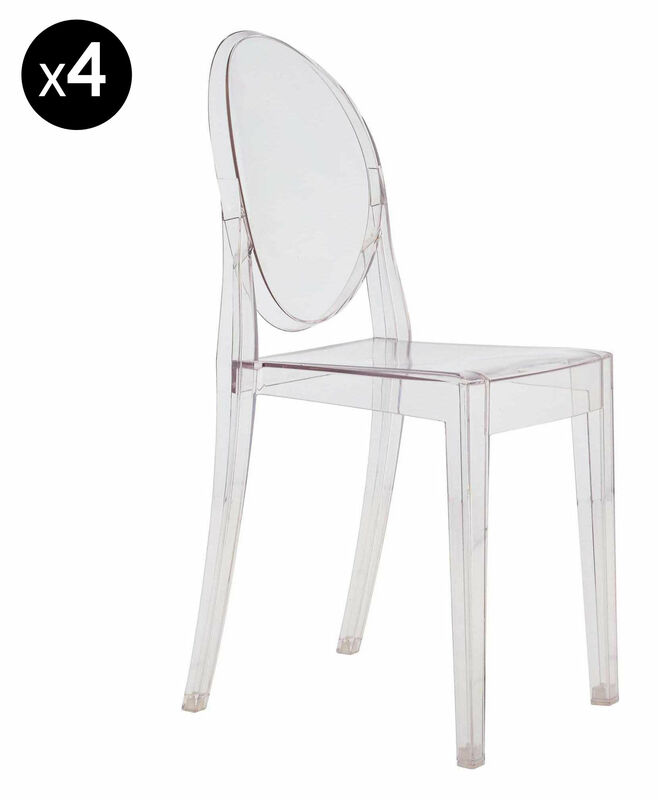 Price stated above is for 4 Victoria Ghost Stackable chairs.